Diaristic Notations: ...he finished his sentence. 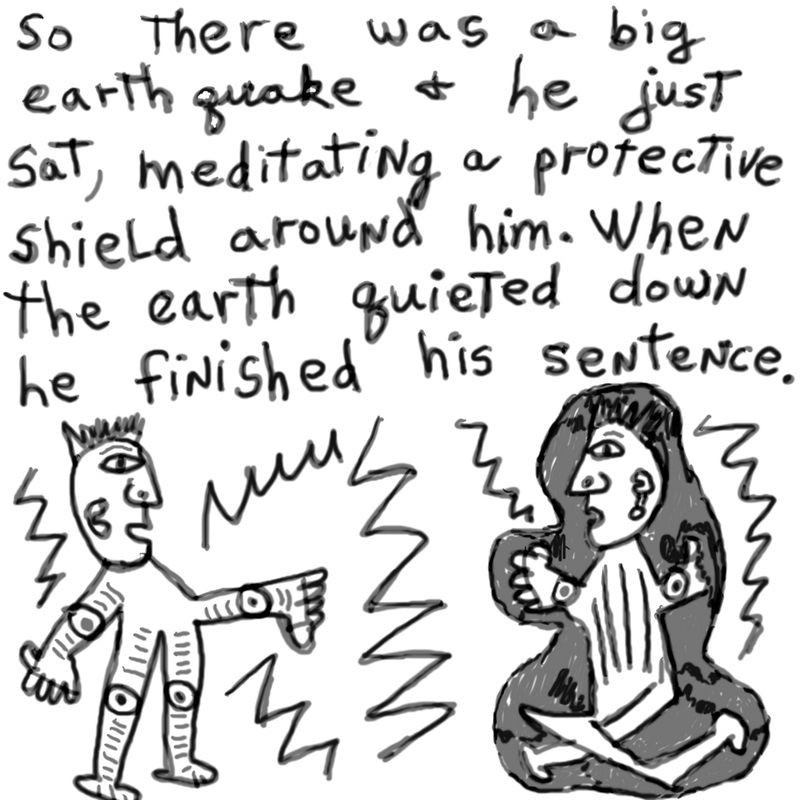 So there was a big earthquake & he just sat, meditating a protective shield around him. When the earth quieted down, he finished his sentence. So now I understand your silence after a question is posed. H.
I think my silence has more to do with the fact that I don't know the answer because I'm still processing the question. 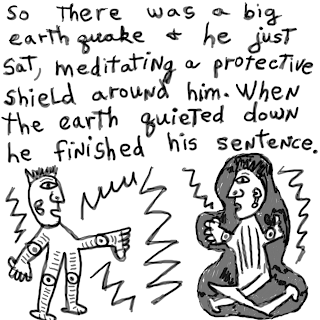 The neat thing about the story is that the meditator never mentioned the earthquake. It was not anymore, so didn't deserve acknowledgment. Is My Big Mind Yours? ...the size she wanted 2 B.